Cows can drink anything from 10 litres of water on a cold, wet day to 60 to 110 litres on a really hot day. They can typically drink at the rate of 14 litres a minute from a trough. 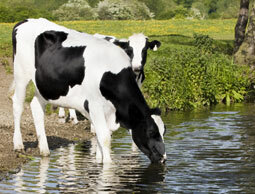 Water is essential for the health and well being of your livestock and is extremely important for animal productivity. 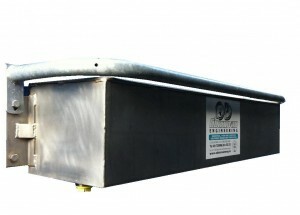 Stainless Steel is used for our water tanks. It is a long lasting, rust proof metal which can be easily cleaned, thus keeping your drinking tanks hygienic. Our drinkers are available in various sizes and with optional protection. 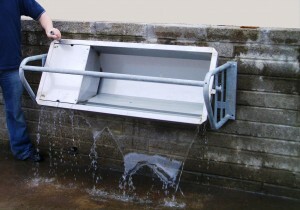 Many farmers have found that a common problem with drinking tanks in houses is water being fouled. Cleaning out tanks can often be an arduous task but with the flipping drinker, contents can be simply dumped by a quick flick over of the tank, which is on a pivot. Feedback from farmers has been outstanding with customers citing the flipping action of the drinker as a simple way of saving time and labour. Easily cleaned with one quick action. Allow cattle 10 to 15 litres per 100kgs of body weight per day.